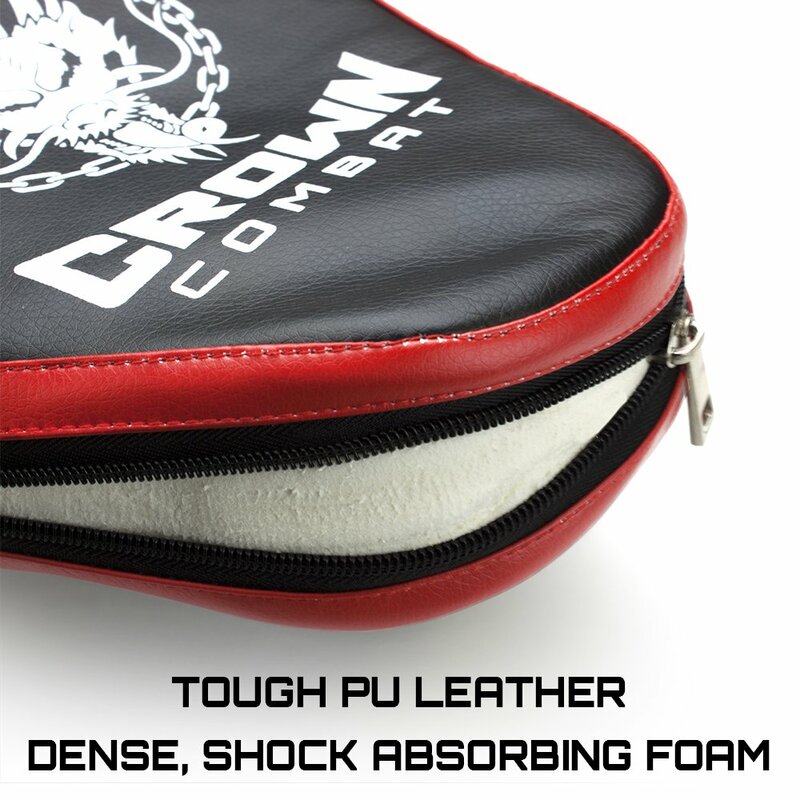 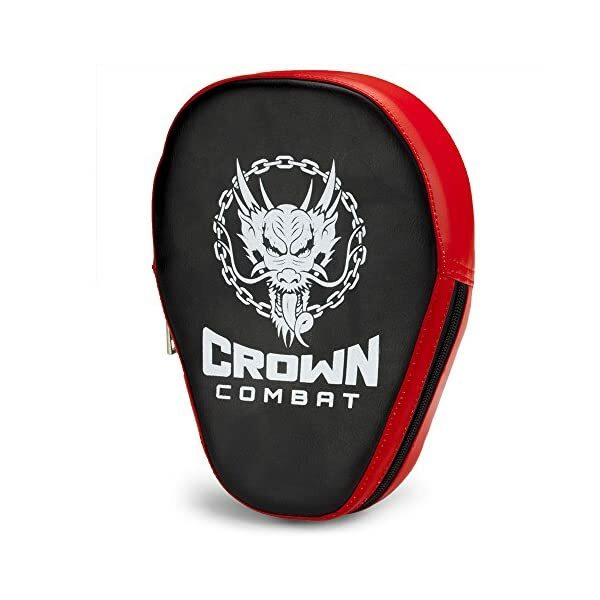 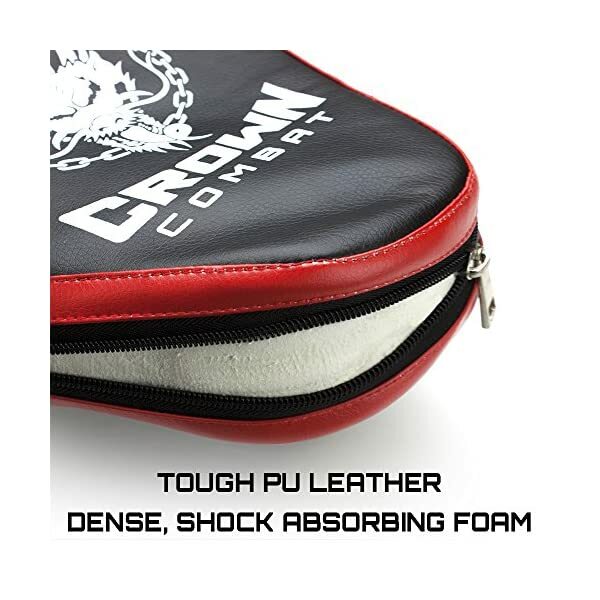 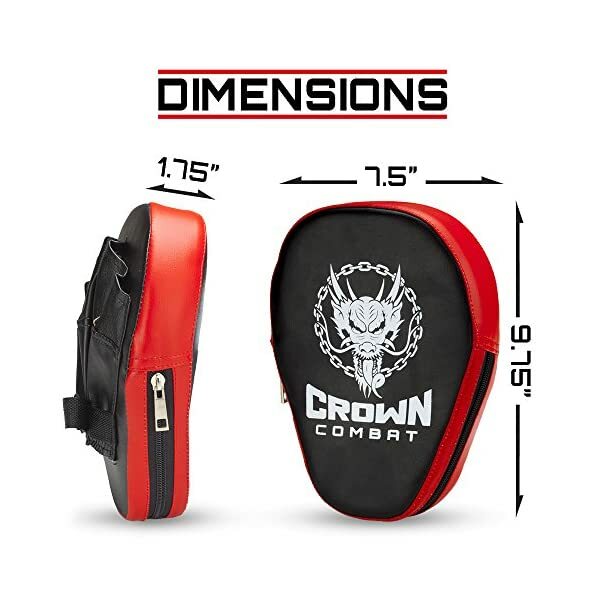 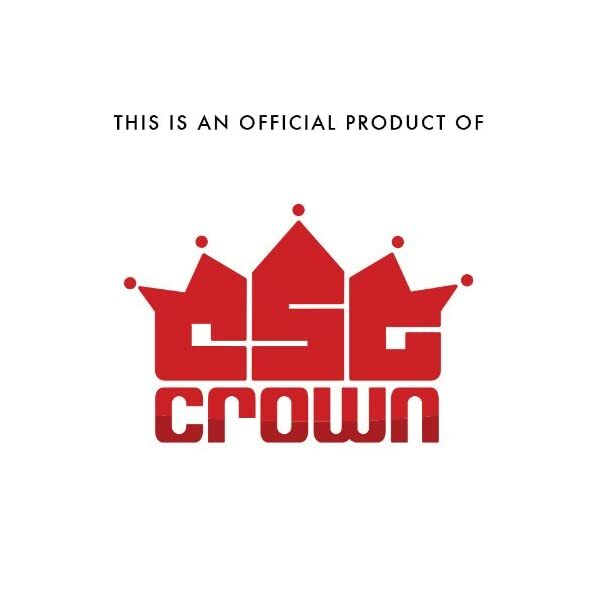 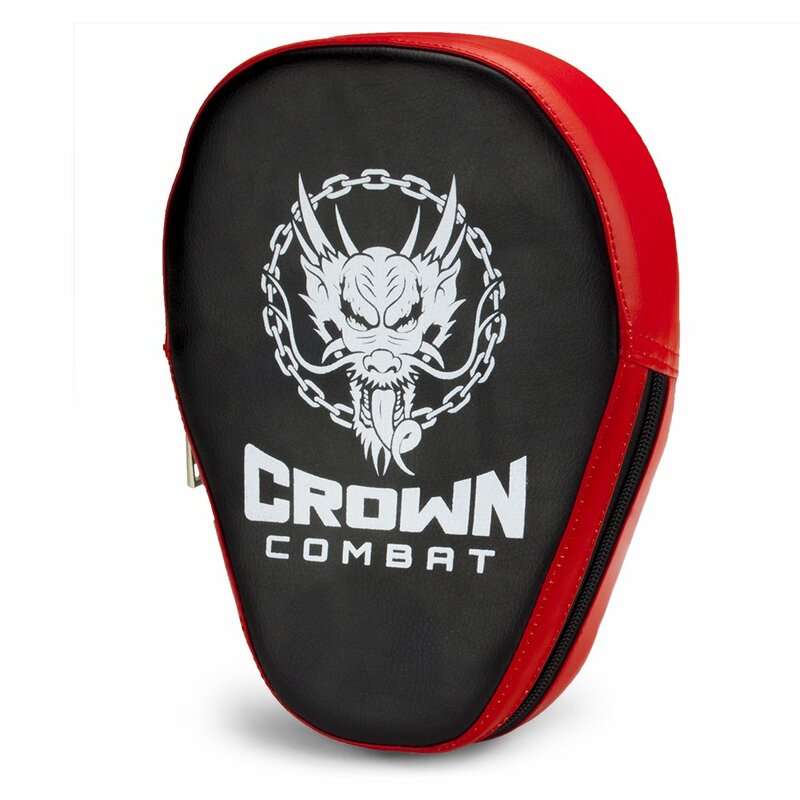 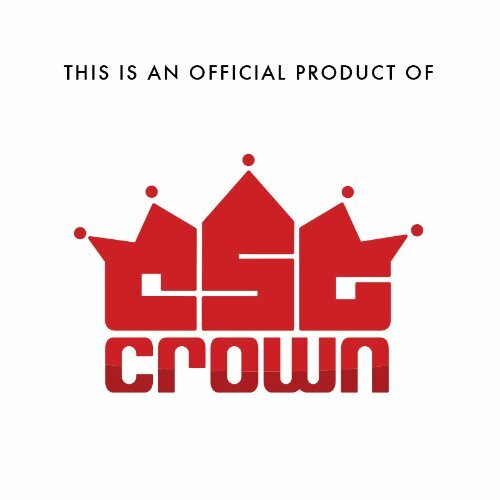 Whether you’re improving your defense skills or developing new punching combinations, protect yourself with these Crown Sporting Goods Punch Mitts. 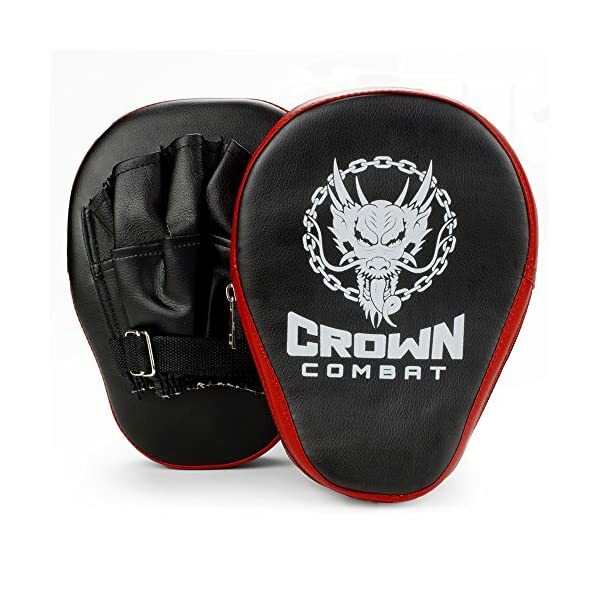 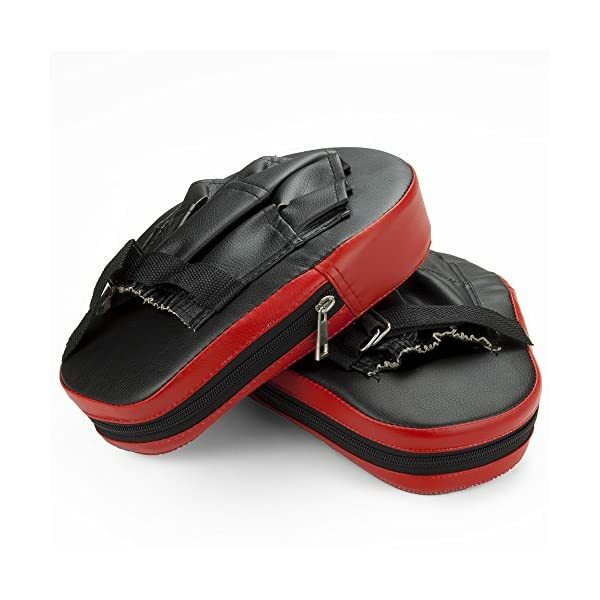 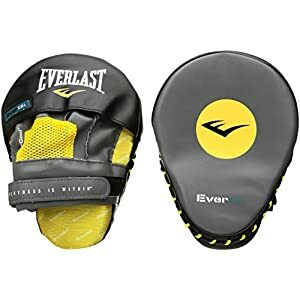 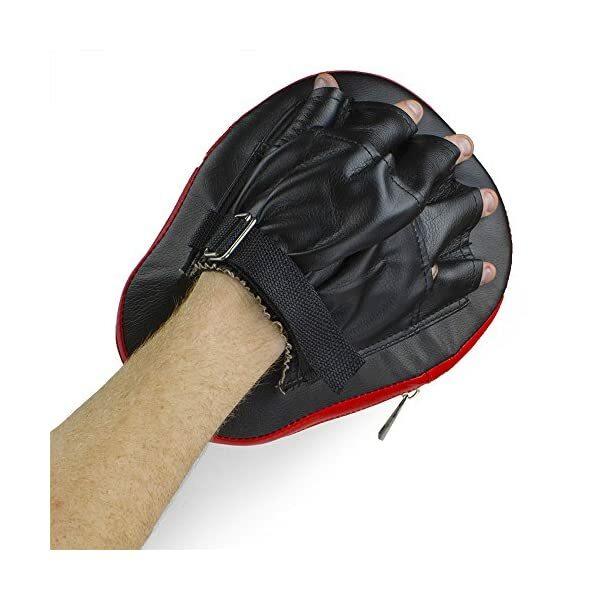 Made with a 2″” thick foam core and covered in durable PU leather, these mitts can guard you from the toughest punches and jabs without cracking, tearing or breaking. 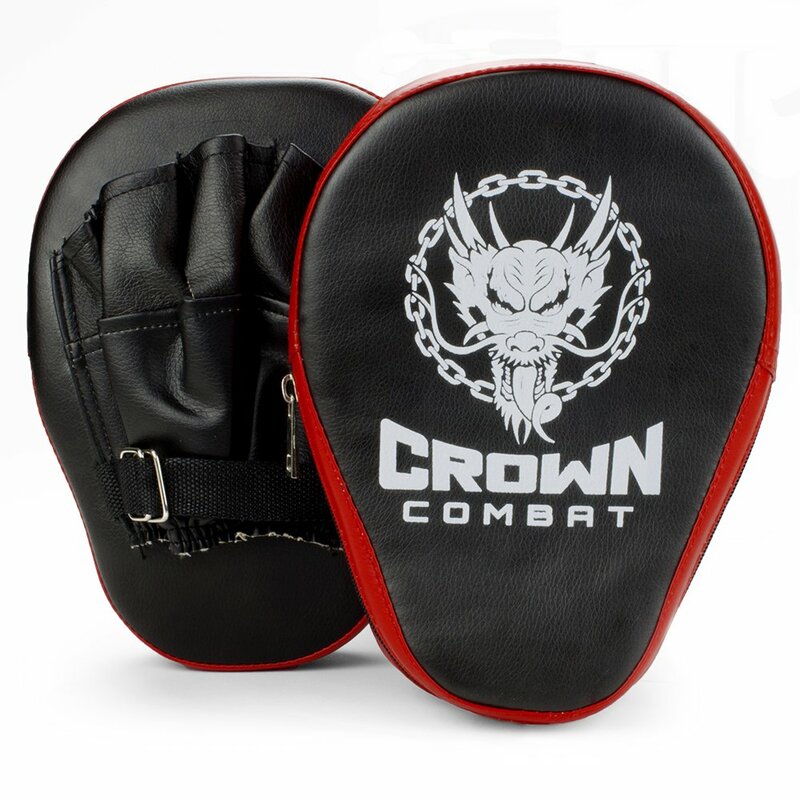 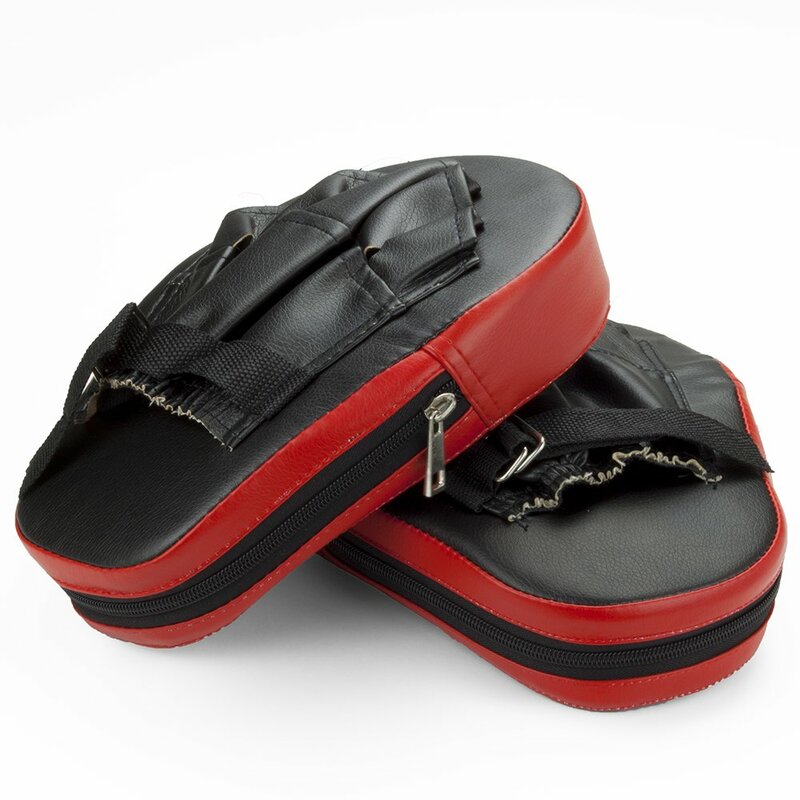 They’re ergonomically designed with a curve to increase control and leverage, so you can take a punch over and over without losing your grip. 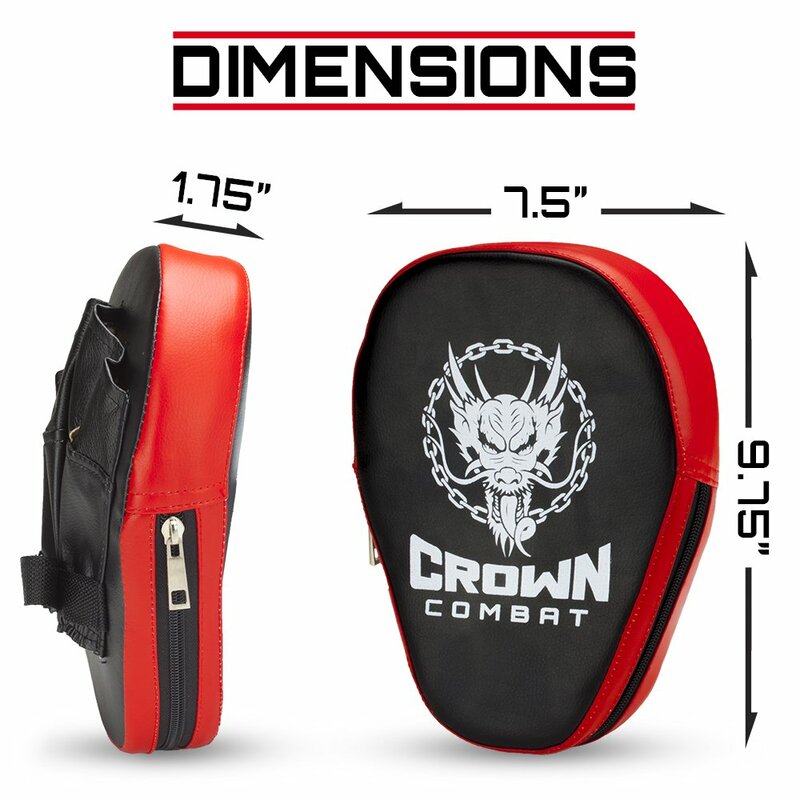 These mitts are 10″” long and 7.5″” wide, making it a great size surface area to develop aim and hone punching accuracy. 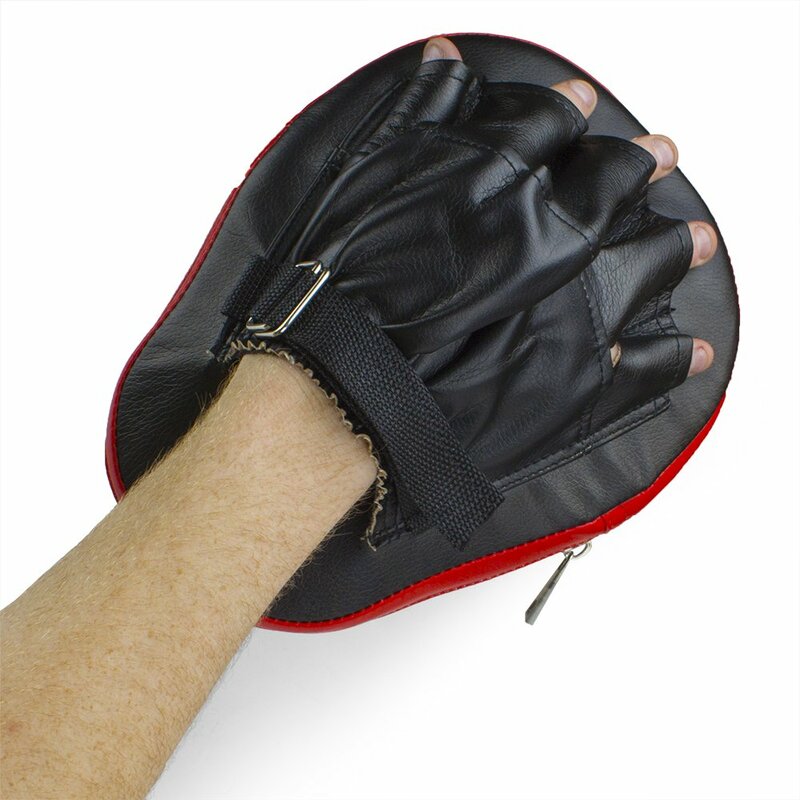 It includes five finger slots and a double-d wrist buckle to keep the glove secure for nearly any size hand or wrist. 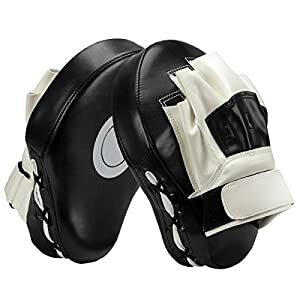 So you can focus on blocking punches, and the mitts will take care of the rest. 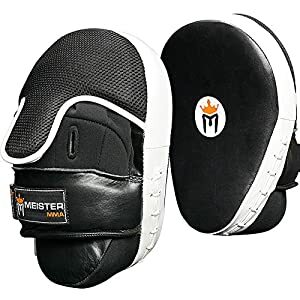 $27.99 (as of April 17, 2019, 7:37 am)	& FREE Shipping.